The holidays just aren't quite complete with a little touch of Coca-Cola! 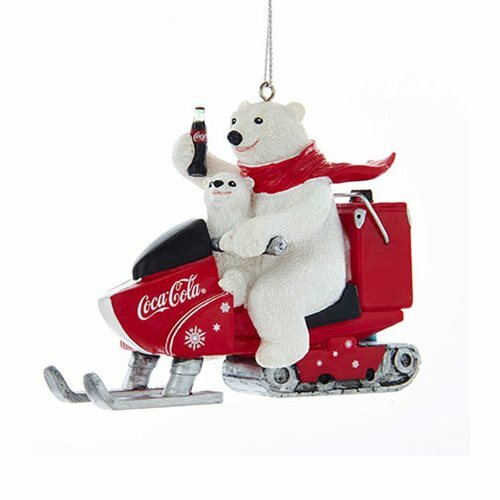 This Coca-Cola Polar Bear with Cub Snowmobile 4 1/4-Inch Resin Ornament features a polar bear with a red scarf holding a bottle of Coke with a cub riding a red snow mobile decorated with white snowflakes. Made of plastic, it measures approximately 4 1/4-inches tall.